Does My Baby Have a Cold or Allergies? With the weather warming up in sunny El Paso we can be thankful that the horrible flu season will soon be over. However, allergy sufferers are probably dreading the sudden bursts of pollen, dust and dander in the air. With the weather warming up the common cold is still wrecking havoc for many. When your baby or toddler has symptoms you may be wondering whether they are suffering from allergies or a flu. Both call for distinctly different courses of action. Not only that, when it comes to treating babies and toddlers the choices in medicine can be limited. At our pediatric clinic we take great pride in providing parents with the information and meds to treat their children. Take a look at a few facts to help you distinguish your child’s symptoms. Keep in mind, this article is not intended to take the place of a physician’s expertise and care. Allergies are the immune system’s reaction to specific substances in the environment. When the body comes in contact with these substances through touch or breathing them in, the immune system sees them as dangerous invaders and releases histamines. Allergies can cause a runny nose, sneezing, sneezing, coughing, itching and watery itchy eyes. In some cases a severe allergic reaction can include anaphylactic shock. This is the swelling of the airways and can be life-threatening. 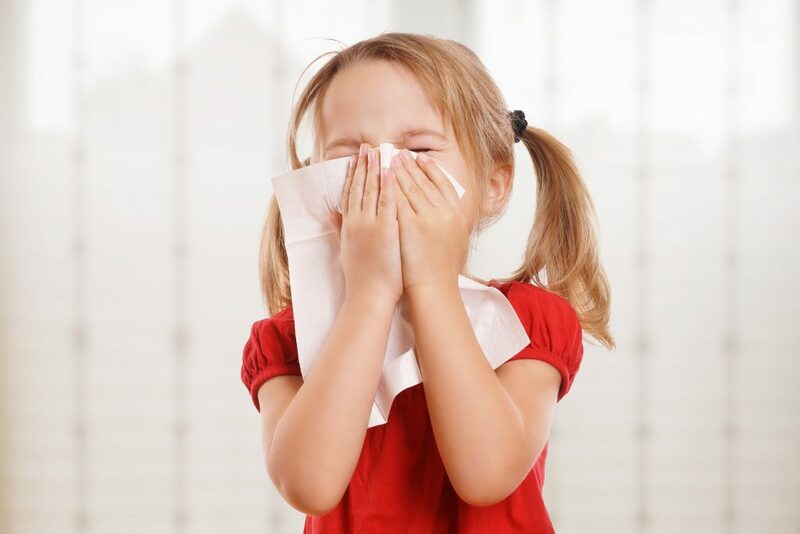 Because cold and allergy symptoms are very similar it can be hard to distinguish which your child is experiencing. A cold typically lasts up to 10 days before it clears up. On the other hand, if your child seems to constantly be sick you may have an allergy on your hands. If they seem to constantly be wiping their nose they may have an allergy as well. Another clear sign of allergies is blue or purple skin under the eyes. A persistent dry cough and constantly breathing through the mouth are other clear signs. Visiting a pediatric clinic is a great way to get to the bottom of things. If your child does indeed have allergies the doctor can suggest the next step. If your child is experiencing a cold you can get a prescription for the right meds at the pediatric clinic. At El Paso Family and Pediatric Clinic we provide comprehensive well-rounded care for you and your family. We take all of your symptoms and illnesses seriously. If your child is suffering be sure to bring them in. We can help you distinguish between a cold and allergies. We will provide a care plan to give your child the much needed relief. Contact us today to setup an appointment or come on in for a walk-in visit.